Step aside statement necklaces—oversized, exaggerated, embellished, bold earrings are officially the “it” accessory for 2016. 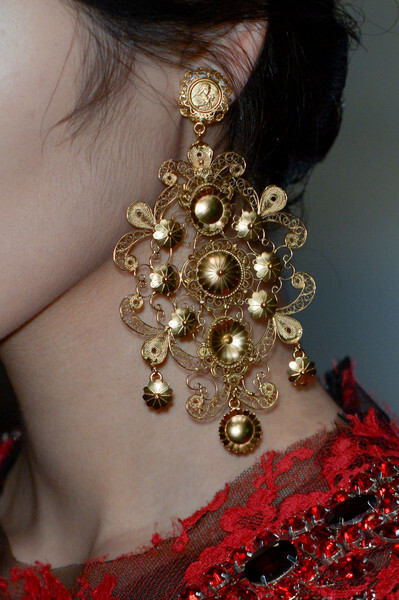 Big, bold, colourful, and over-the-top danglers stole the shows at Oscar de la Renta, Rosie Assoulin, and Gucci. There’s just something so luxurious, effortlessly rich & sophisticated about piling on jewellery that I seem to never get enough. You shouldn't be afraid to wear crystals during the day - they're good for taking something casual to a much more special place. 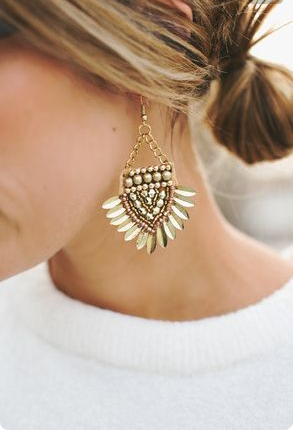 The bigger the earring, the better! Longer styles draw attention to that space between your jawline and your shoulders (which is quite flattering). Statement earrings can be tricky. I’m usually not a big fan of wearing bold earrings and necklaces at the same time. You should definitely select one or the other to be the main focal point of your look. Although there are times when it can look fabulous, I just choose not to wear them together. I would also advise that if you are going to wear two bold pieces together that you pay attention to the colours in each piece. Make sure they play well together. I’m REALLY not a fan of sets, so I would say that you should find similar pieces that complement each other. Some other things to think about when it comes to wearing statement earrings are outfit colour choice as well as how you plan to style your hair. If you choose to wear your hair down, be sure to wear it in a way that will still showcase the earrings…even if it’s just pulling a bit of hair behind your ear. When it comes to outfit colour choice, again, the earrings should be the focal point so try not to drown them out with an outfit that’s too busy..
Is this a trend you like to wear? 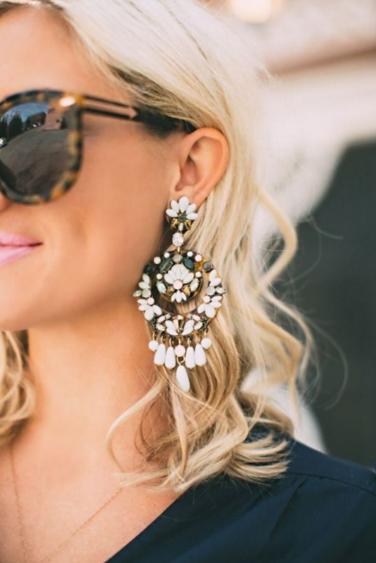 how do you wear your Statement earrings?